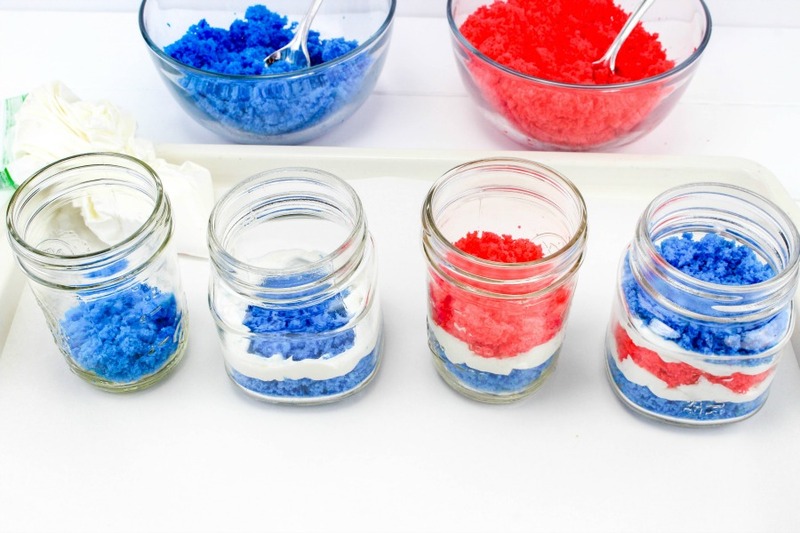 Who is ready for the 4th of July? I know we are almost there. 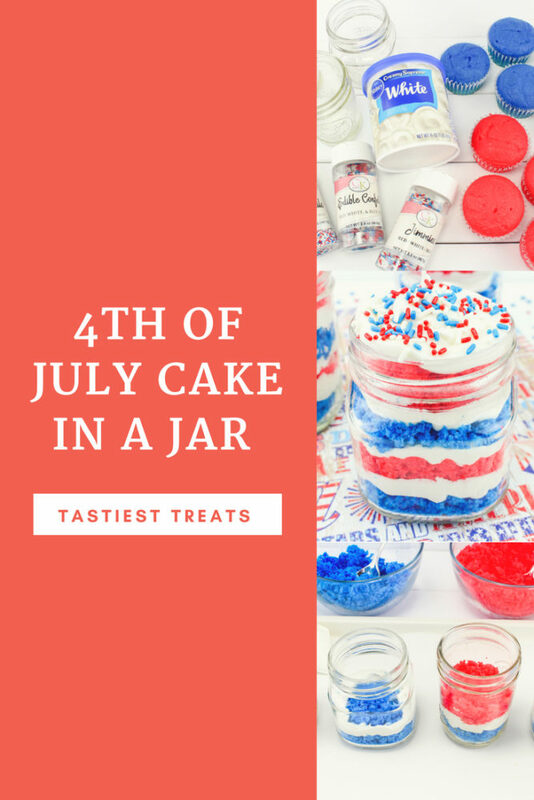 Well, I have this real easy 4th Of July Cake In The Jar recipe that I know you will love and it will also be a big hit at your barbeque! 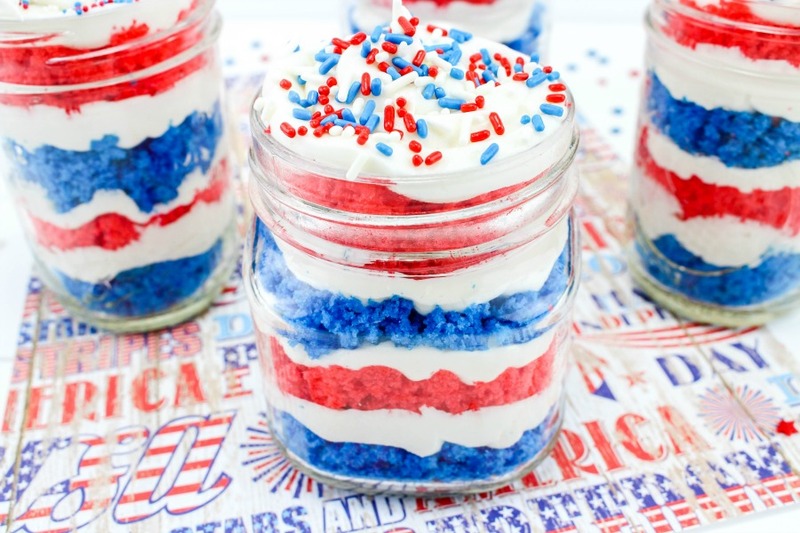 This patriotic dessert will be a sure crowd pleaser and at the same time super yummy! 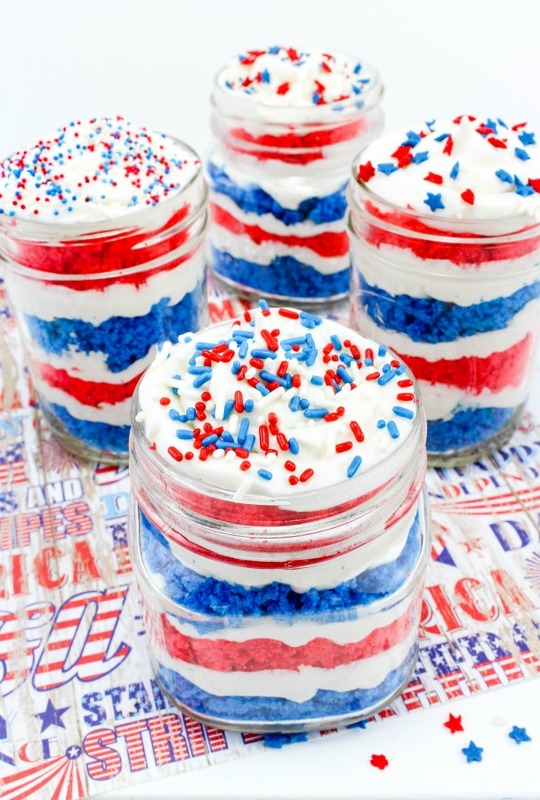 I love making mason jar desserts and this one was fun to make, and by serving it in a mason jar, you won’t have to worry about serving it up on plates. First, crumble up the blue cupcakes into a bowl. 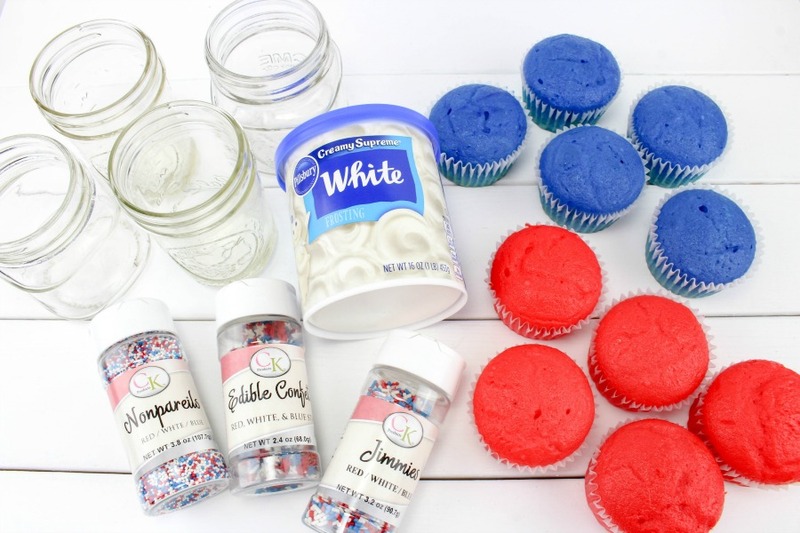 Crumble up the red cupcakes and put those in a separate bowl. 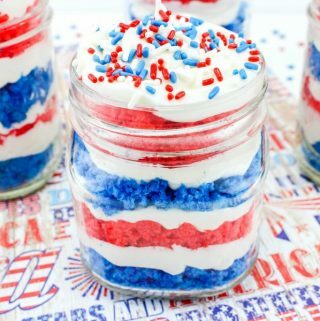 Take a jar and put a layer of blue cake crumbles in the bottom. My layer was about an inch thick. Repeat steps 3-9 for the remaining jars. 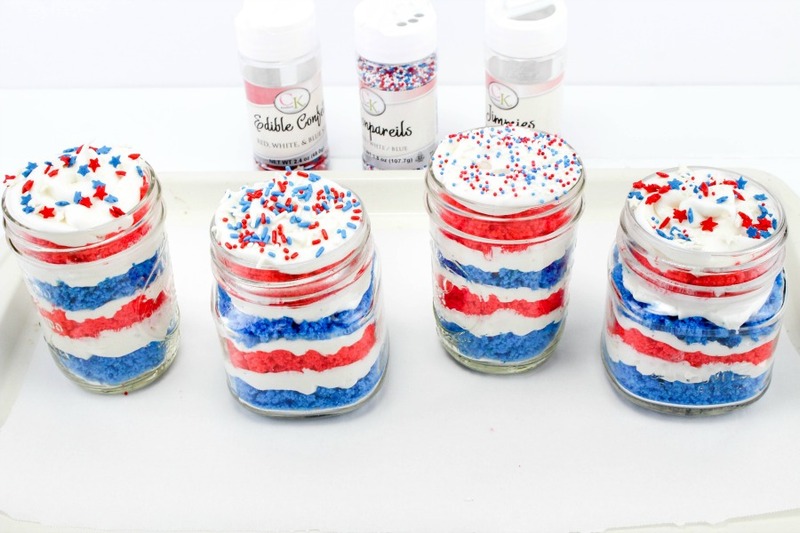 These fun and pretty little dessert jars are great for your celebration! *Note: I prepared a white cake mix and divided the batter equally and colored half blue and half red. Bake cupcakes according to the package. 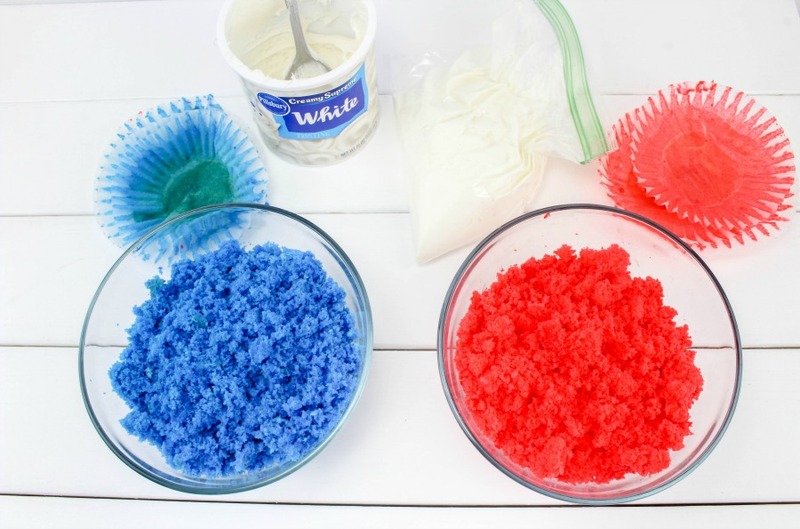 I prepared a white cake mix and divided the batter equally and colored half blue and half red. Bake cupcakes according to the package.